Mark Kelley’s Northern Lights Scarf perfectly captures the northern lights as they reflect in the waters of Alaska’s Inside Passage. 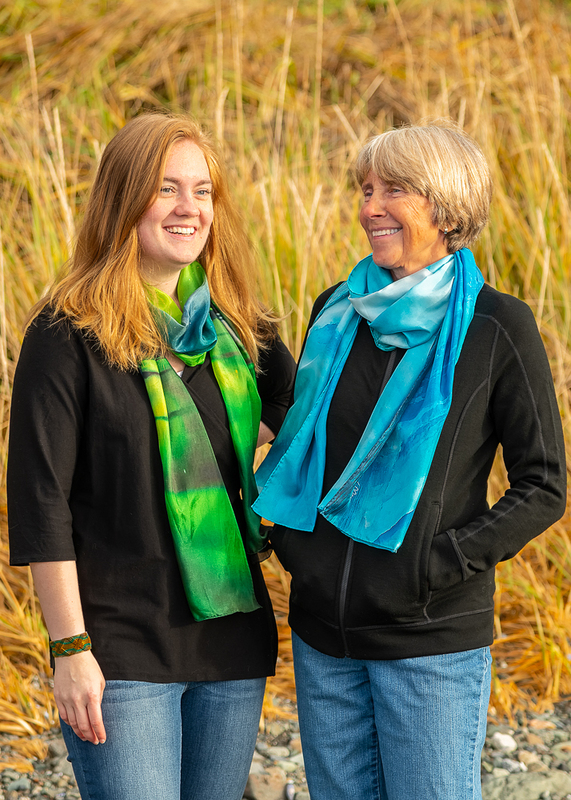 These scarves feature stunning images from Mark Kelley’s award winning photo collection. 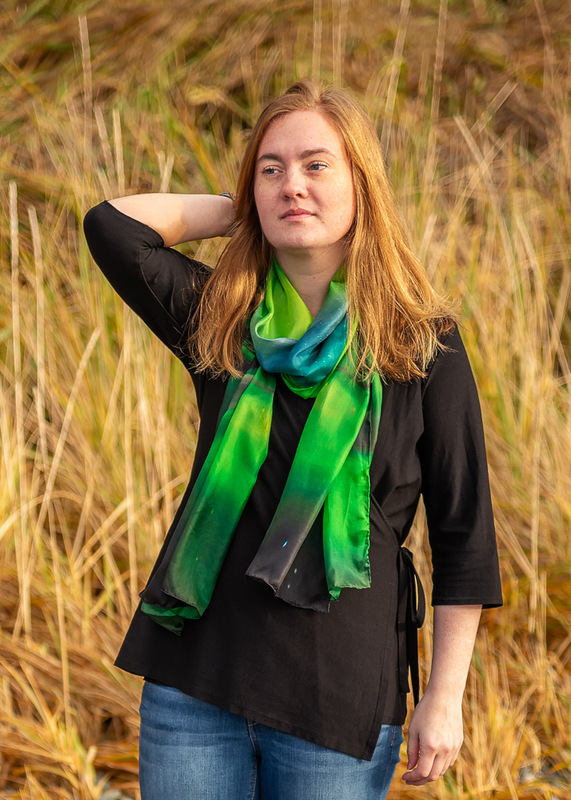 Each scarf is made from 100% pure silk with hand-rolled edges. 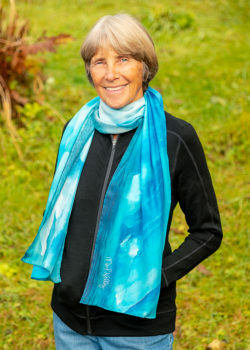 The fluid way each scarf drapes complements the natural image. Treat yourself or give a gift that is sure to be loved. Northern lights are such a rare sight to witness. Standing under their majestic waves feels like a dream. 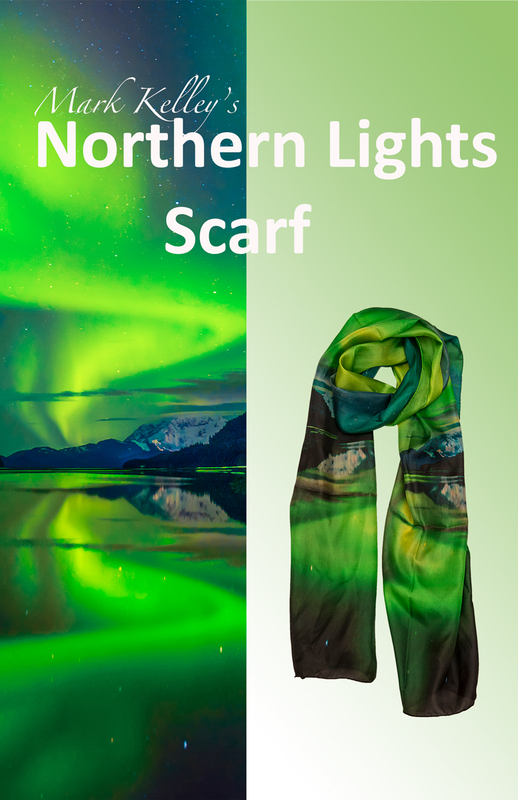 Now you are able to wear the beauty of the aurora with Mark Kelley’s Aurora Dream scarf.